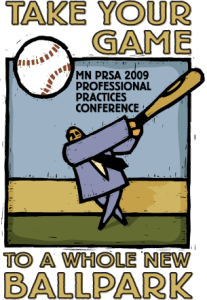 This fall, public relations professionals of all experience levels will be afforded the opportunity to take their game to a ‘whole new ballpark’, as the Minnesota chapter of the Public Relations Society of America (PRSA) hosts its 2009 Professional Practices Conference. Featuring keynotes from Kevin Smith, Executive Director of Public Affairs for the Minnesota Twins, and Mary T. Henige, Director of Social Media, Broadcast, Diversity & Consumer Communications for General Motors, this conference will help professionals step up their game by clearing the lines between online public relations, Search Engine Optimization (SEO) and social media tactics. 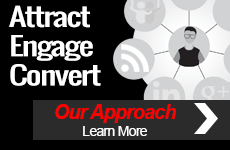 Helping to clear these lines, by contributing to two panels and offering one presentation, will be TopRank® Online Marketing CEO Lee Odden. 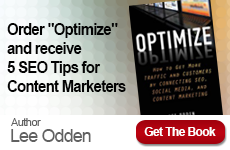 During his presentation, Understanding SEO, Odden will offer a frank and candid warning to PR professionals who create content that does not adhere to SEO best practices. Attendees who heed this warning will discover SEO tips geared specifically for public relations practitioners and leave the session armed with the knowledge needed to create search engine friendly PR content. Later in the day, Odden will take part in two panel sessions focusing on Creative Theory and Creative Application & Tactics. During these panels, moderated by Provident Partners President Albert Maruggi, Odden and his colleagues will help present a clear and holistic view of how online PR, SEO and social media can be blended together to achieve public relations objectives. Joining Odden and Maruggi for these panel sessions will be Rick Mahn, Social Media Strategist, Land O’ Lakes; Jason DeRusha, Reporter, WCCO; and Greg Swan, Digital Strategy Manager, Weber Shandwick.